The End of Fire Risk Assessors? When the draft RRO was published in 2005, it was heralded as a Risk Assessor’s Charter. The popular belief was that retired fire officers and fire safety consultants would make thousands by charging small to medium businesses hundreds of pounds to compile a risk assessment (FRA) appropriate for their premises. I think that it is fair to say that those predictions have not proved accurate. Many small to medium enterprises have found the cost of the FRA prohibitive and have chosen either to tackle the task themselves or to carry on trading without one. 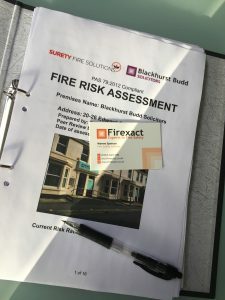 One aspect of the Draft Order which may not have been fully considered in 2005, was that the fire risk assessor could, under articles 5 (3) and 5 (4), become a person ‘who has control of the premises’, and as such be liable to criminal proceedings if the FRA was not suitable and sufficient. The Responsible Person as defined under Article 3 is required to appoint a competent person to carry out this technical and, to the layperson, complicated task. But, in my view, there is no real definition of what is ‘competent’ within the Order. How much training experience and knowledge is sufficient? CFOA guidance recognises that different levels of competence are likely to be necessary for premises which provide varying degrees of risk. As far as I am aware, there are still no recognised criteria or accreditation processes which provides the layperson (I am aware that Level 4 and 5 diplomas exist – but what does that mean to Joe Public?) with any indication of the ‘competence’ for fire risk assessors. 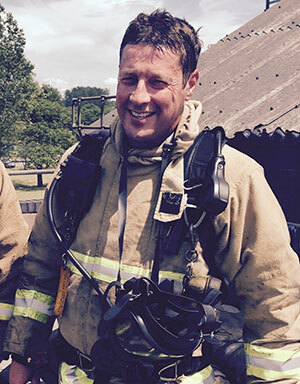 In July 2011, Nottingham Crown Court sentenced Mr John O’Rourke of Mansfield Fire Protection Services to 8 months imprisonment, after he had pleaded guilty to compiling two fire risk assessments which were not suitable and sufficient. Quite right, you may say, the public should be protected from incompetent fire risk assessors. But what about the situation where enforcing fire officers deem a FRA compiled by a suitably trained and experienced assessor as not suitable and sufficient. Has an offence being committed? It has if the Court agrees with the enforcing authority. And what if such a fire risk assessor were to be convicted of such an offence? Who would want to compile a fire risk assessment in furture, if a disagreement as to an appropriate escape route or an acceptable means of escape could lead to a criminal investigation? A number of recent cases have confirmed that the fire risk assessor can be held liable under articles 5 (3) and 5(4). The present uncertainty as to who is and who isn’t ‘competent’ inevitably leads to the situation where enforcing authorities consider whether or not and FRA is suitable and sufficient and work backwards to evaluate the competency of the assessor. This is a dangerous situation. How does the consultant defend himself, other than to pay thousands of pounds to another expert consultant, in the hope that he will find support for his reasoned and well considered viewpoint? Article 36 provides for a determination of any such disputes by the Secretary of State, who will consider representations as to the appropriate measures necessary to remedy an alleged failure to comply with the Order. But that article requires responsible person to admit that he has breached the Order. This would be tantamount to admitting a criminal offence. I understood CFOA were to clarify the position with regard to the competency of fire risk assessors. But will such guidance provide an adequate defence to a fire risk assessor who has provided an assessment which has been deemed not suitable and sufficient? I am not sure that it will.